This is a hand painted metal john boat. It measures 8" longx 3"widex 14" high. It was hand painted at a local design and graphics company. This is really a great piece of advertising history. I've listed this for a friend, so call Ken at the number listed for any questions. Thanks. RECENTLY REDUCED PRICE! 1985 Carver Cabin Boat Also 1978 Carver Cabin Boat. Both of these boats have been fully restored. Lots of teak wood. All wood and fabric have been refinished. 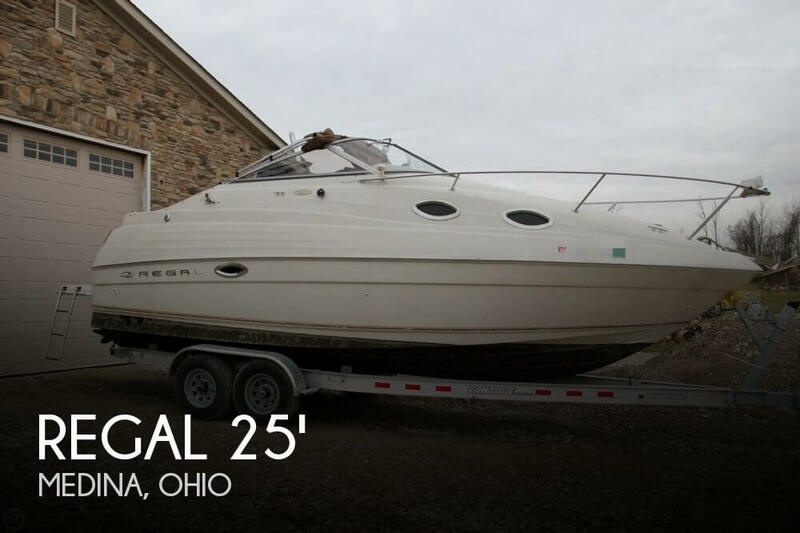 These boats are legally trailer-able. Trailer is included. Will consider Classic car trade for the right car. CALL NOW !!! Used 2003 Yamaha AR210 Jet boat. Twin 135 Hp engines total 270 Hp. 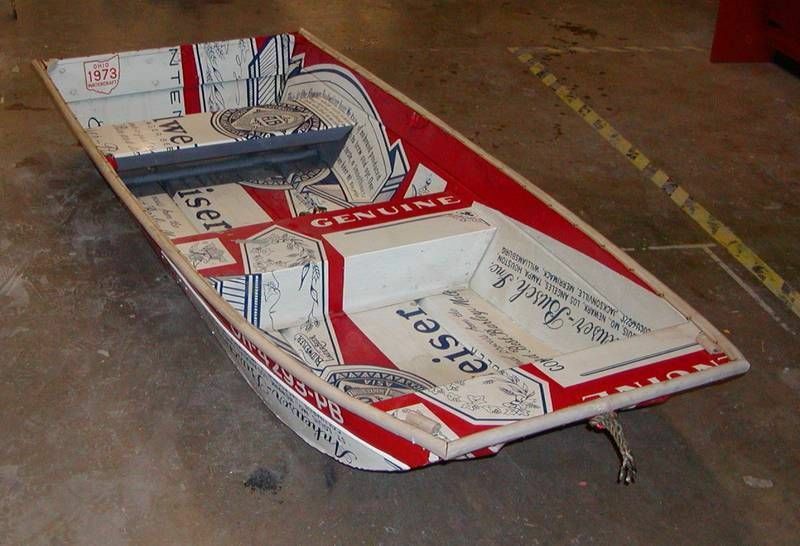 The boat is in good condition with normal wear and tear. Please see pictures for details. Just had it in the water this month, installed brand new battery. Runs very well with no mechanical issues. Has been stored indoors for the past 6 years. No sun damage or fading. 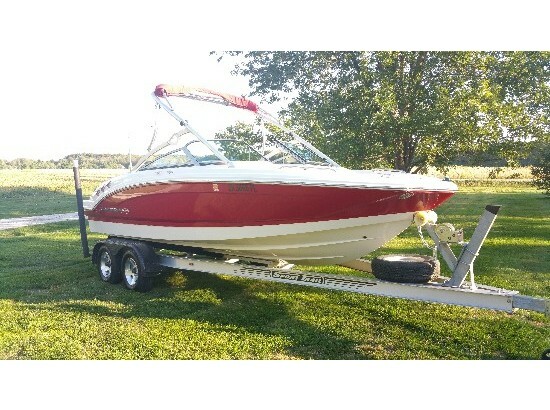 Includes trailer, cover, a pair of skis, life vests, wakeboard and inflatable tube for towing. will deliver within 100 miles of zip code 44256 at no charge. RPM indicators and speedometer do not work. Fuel gauge works but is dislodged from the console. 270 hp is a lot of power for such a light boat and it is very fast.